Stay at home moms actually have many chances to earn more money because there are so many online small business ideas for moms that can give pretty much good amount of money. From the simplest to the most complicated business, everything is possible as long as moms come with commitment and skills. Let’s check out what moms can do in their free time. Every parent is always concerned about their child’s college tuition. A mom who has been success in managing this should make use of her experience by sharing it to other moms. Yes, consider being a financial aid planner to help other parents save their money. Remembering a planner is not only about being smart but also aware of available choices. This particular business includes advising other parents to select a college, fill out the form, provide tips for college essay writing, give advices regarding tax implications and negotiate the best package. The market feasibility for this business is pretty good and it can be started by advertising the service in libraries, universities, private tutorial centers and high schools. 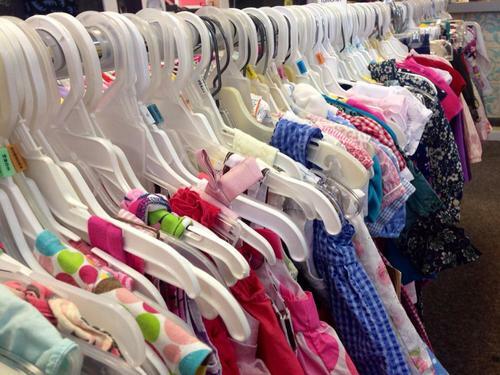 Moms who have many clothes that are still in good condition should consider opening a consignment shop. This simple yet profitable business is a smart option. Every year, there is always a market for recycled clothes especially the unique ones. Many consumers in this recession era have been trying to save their money and one of the ways is to purchase clothes from consignment shop. And, the shop can be turned into online business as well. This business doesn’t involve high operation cost so it is totally manageable. Just make sure to create pleasant atmosphere for the customers. Here comes a business idea for moms who have skill in writing. Demand for contents and writings have been sharply increased in the last few years. So, it makes a good opportunity to earn money from it. Writings can be in any topic according to the client’s request. This business also means that moms can become ghost writer which is often demanded. To advertise your business, create a website or make ads in forums. Attach some of your writings to let the potential clients know about your talent and skill. Most stay at home moms are familiar with gardening because it is one of the ways to kill their free time. Gardening is not only fun but also profitable in terms of allowing moms to harvest the plants. Today, herb farms are very popular in the neighborhoods that include the plants of herbal tea, herbs for candles, medicinal herbs, culinary herbs and also aromatherapy. In this business, you will help other to start their gardening by sharing experiences and advices in a seminar or consultation session. Or, make gardening class which teaches different gardening aspects including on how to plan flower beds, work on the perennials, how to prepare the soil, how to start bulb planting, how to create English garden and so many more according to your skills. You consider yourself a person who is into creating beautiful crafts. Well, you should make use of your passion as a business idea. Try making beautiful gift baskets and sell it to those who need. For instance, make corporate parties for birthday, holiday and baby shower. Be creative in creating the gift basket design to attract customers. Then, start taking photos of your products, prepare brochure listing and sell it online. Target potential customers and offer great deals to attract their interest. Moms who are skilled in graphic design should consider starting a business in graphic design. The duties of this business include designing informational pamphlets, flyers, advertisement and product catalogs. The designers also need to consult with publishers or printers to choose the best paper, printing processes and the cover stocks. This business promises good amount of money with unlimited clients from around the world. Today, this business has been rapidly growing as the number of seniors increases. In this business, you will be responsible of helping the elderly to find employee to assist them with daily living tasks like cleaning the house and fixing meals. In other words, you will help them finding live-in nurses. To start this business, you have to fulfill the legal requirements according to the applicable law in your area. And, it is also important to have top notch people skill because you will be the one choosing the person responsible for helping your elderly clients.